This past Sunday the stars aligned and the 2014 acacia shoot happened! This year was a little different as we did the shoot in my front yard with the tree as the back drop, where as in previous years branches were trimmed from the tree and taken into the studio. This year the tree did not really need it’s annual trimming and we were able to take advantage of the summer like weather we’ve been having here in the bay area. Due to Monday being a busy office task catch up day for us I’ve barely had time to look at this years pics, but am pretty excited to have some time this afternoon to get into the editing process. I hope to have some sneak peeks for you in the next couple days! 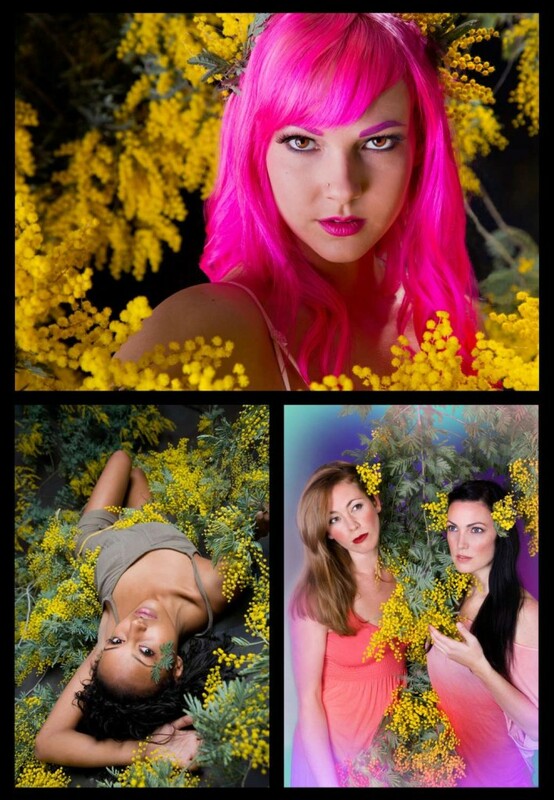 In the mean time please enjoy this collage of a few of my favorite images from previous acacia shoots. This entry was posted in Art and Creative Photography, Fashion, Portraits and tagged acacia, art, beauty, fashion, flowers, fun, models, photography, pink hair, yellow on January 28, 2014 by claytonjmitchell.